After fretting over not having a crochet or tapestry needle and trying to find one online, I opened my sewing kit and realised I had one all along! 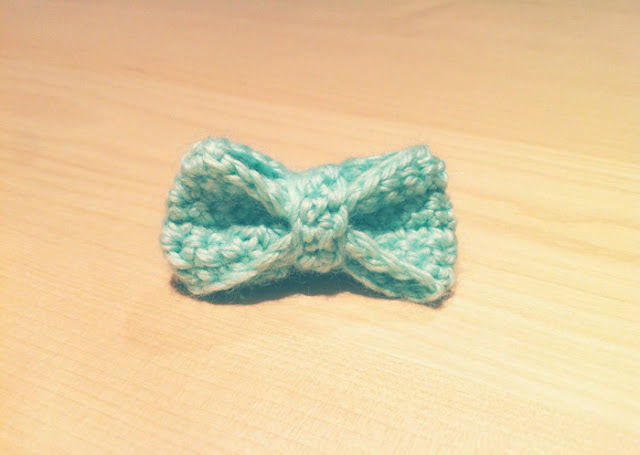 This meant that I would be able to complete my first crochet project ever - my crochet bow!!!!!!! Not a very ambitious project I must say, but I have great things in store for this little bow... And her other siblings that I have yet to create! Now it's off to the yarn shop to buy way too much yarn and way too many crochet hooks! Yay!! Have you tried bamboo yarn? Thanks :) I haven't used bamboo yarn before, but I've heard of it! Apparently it isn't as sustainable as it seems, because if the extensive processes involved to turn bamboo into yarn... But I am lured by it's softness!